There are literally hundreds of documents regarding the configuration of NLB running on VMWare ESX Server. 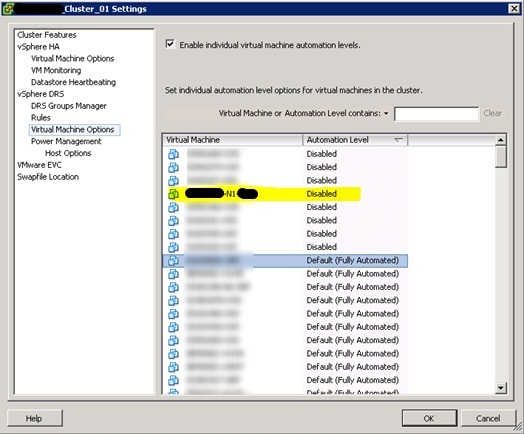 Officially they do not support UNICAST mode so I had to configure this without help from VMWare. Below is how I did it, feel free to comment if it can be done better but this is a working example. As you can see each server in our NLB will have 2 network cards. One for the NLB and another one for direct access which will also act as gateway for the outbound traffic. 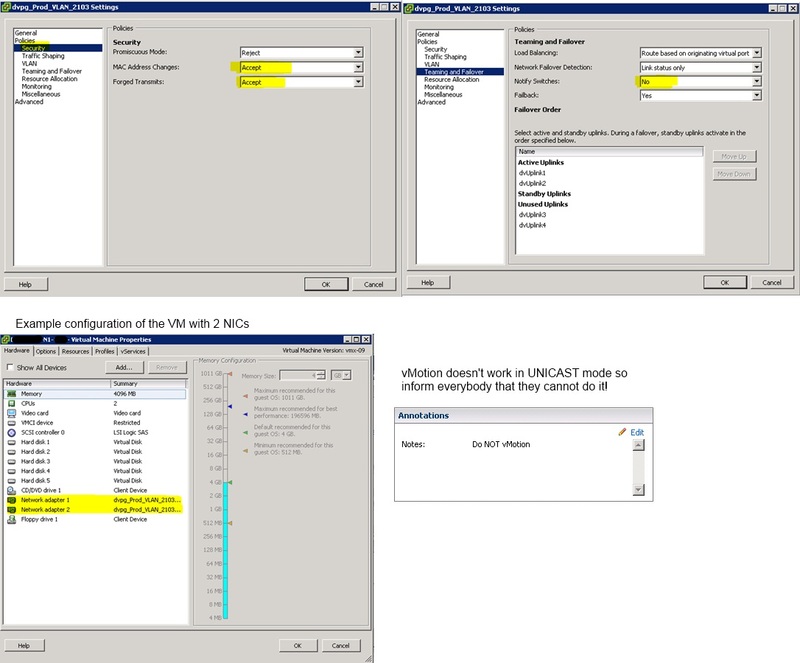 You only need to configure a gateway on the outbound NIC. 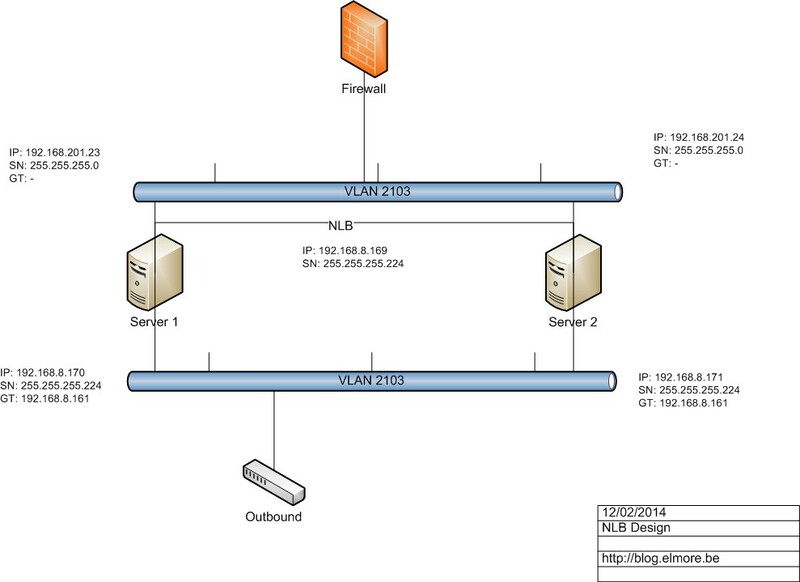 Below is an example of the IP configuration. Remember, never check the NLB configuration on the NIC properties yourself. This will be done automatically when you create a new cluster. The NLB is active but it will not send back any traffic. Thanks to Michael who wrote an article about this I know that I need to enable forwarding on the inbound NIC. You need to do this on each node of the NLB cluster. 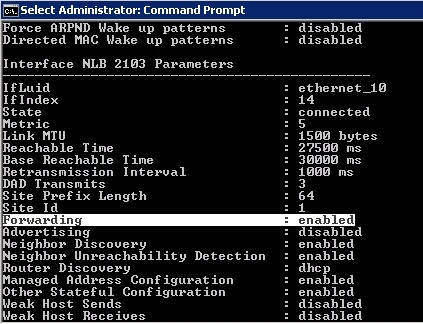 DRS also breaks the NLB so we need to keep the VM on the same host. Best is to disable it for all NLB nodes.